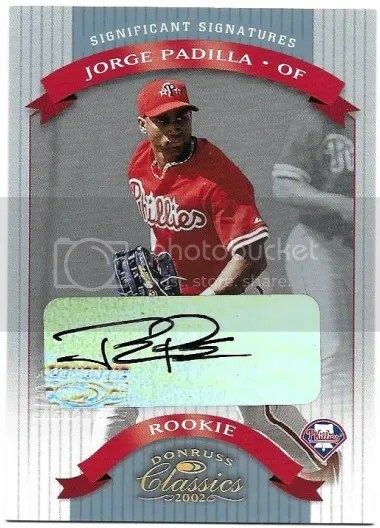 This contest is for a Jorge Padilla 2002 Donruss Classics Significant Signatures Rookie Auto #’ed/500. Anyone remember this dude? He spent a decade in the minors before making his MLB debut for the Nationals in 2009. This contest will end Friday, April 7, 2017 @ 8:00 p.m. EST.